We are a family of four people (2adults and 2 kids) and we will visit the Moosehaed lake area. We visited your web site and we need the abaliability for your cottages, number 4 or number 5, and also know the difference betwee it’s. We are plannig stay 3 nights, arrival august 4th, and departing on 7th. Also can you confirm the rates of the cottages. Hi Joan, Both cottage 4 and 5 are available for the dates you listed. Cottage 4 is $150/night. Cottage 5 is $100/night. 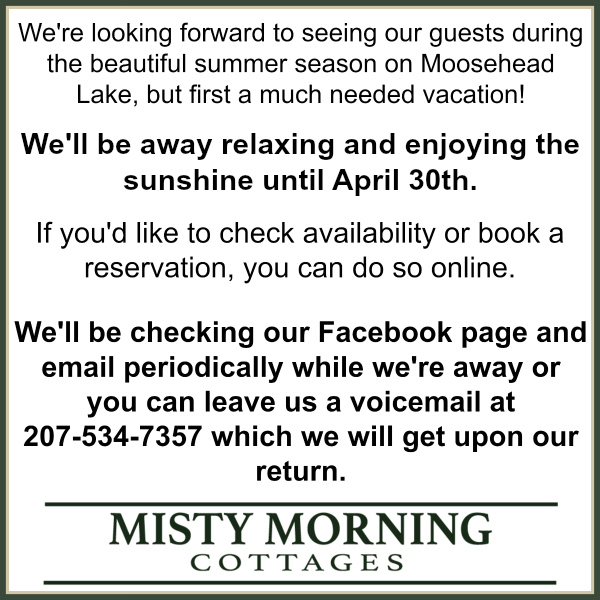 If you have any further questions, please feel free to call us at 207-534-7357.